Communiqué Conferencing and Adobe® have joined forces to provide advanced audio conference call service that is fully integrated with Adobe Connect Web conferencing. Our strategic partnership combines our audio conference bridge service with Adobe® Connect web conferencing. 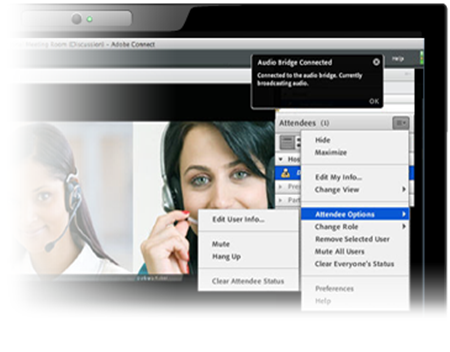 Communiqué Conferencing audio integration enables you to manage your meeting and captivate your audience with ease. Best Price: Communique has the lowest rates of any Adobe Connect integrated conference call provider. There is no contract, set up fee, monthly fee or commitment. Most Reliable: 99.9% reliability. The service is delivered 100% over traditional phone liens which means the quality is crystal clear and reliable. 24/7/365 live customer service to support speakers and attendees before, during or after your call. Custom Branding: We can private brand your conference call service to promote your company and build your brand as attendees join your calls. Click here to listen to a sample branded conference call prompt. Who’s speaking indicator lets the participants visually see who’s talking or making noise. We’re not a local or regional telecom provider. 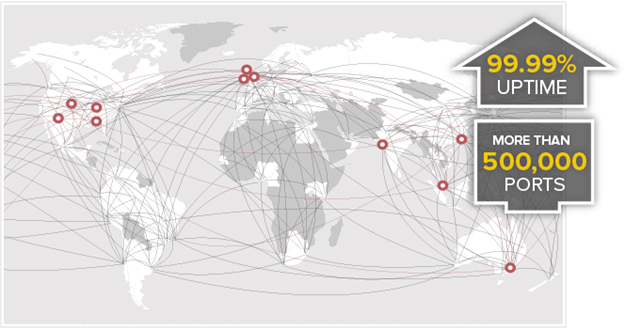 We’re a business with customers, staff and operations centers across the globe. Communique has toll free and local access numbers are available in the more countries than any other conference call provider (107 countries worldwide). Communique is the worldwide conferencing services leader. With 99.99% up time and 24/7/365 operator support, you can rely on Communique to for crystal clear sound for your important meetings. For 14 years, Communique has been delivering reliable conferencing solutions to business, non-profit and government clients. Over 34,000 uses in over 34 countries trust Communique for their important conversations.